Five Star Painting Contractors is a full service painting contractor offering high quality service for your residential and commercial projects in Trenton, New Jersey and surrounding cities including Hamilton, Lawrenceville, Ewing and Morrisville. We use only the highest quality paints. 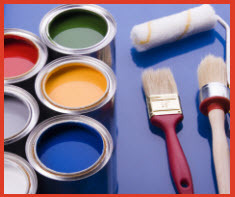 Our professional crews are safety trained and oriented, with many years of experience in the painting industry. Our experienced professionals will take the time to listen to you and get a feel for your tastes and needs. We carry out our interior and exterior painting work in a timely and professional fashion. Our service, workmanship and professionalism is the core to our success. Our company is licensed to do both residential and commercial, whether its new construction or a remodel; we can handle it. No matter what you need painted, we’ve got you covered. We provide on-site free estimates and color co-ordination tips if needed. Disaster strikes when we least expect it. But if you do experience a flood or any kind of water damage, call us to repair and restore your damaged drywall and ceilings. If your water heater breaks or the upstairs plumbing leak has made a stain on your ceiling, call us drywall, tape, texture and paint the offending area so that you’ll forget it ever happened!. If your siding, brick, concrete or wood is looking dull or stained and has basically seen better days, call Five Star Painting Contractors to professionally power wash it for you. It will increase your curb appeal and brighten up your living or working space! Please contact us using the form at the right or call (609) 581-1446 for your next painting project. We look forward to hearing from you. We loved working with Five Star Painting Contractors. Their interior painting work in our house was high quality and quick too. We really appreciated their attention to detail and that they made sure to ask our preferences all along the way.